Are you wondering if it’s safe for your child to begin sleeping with a blanket? Do you feel like it’s time to start relaxing on sleeping safety rules you’ve established for your little one? This is a normal phase for every parent. 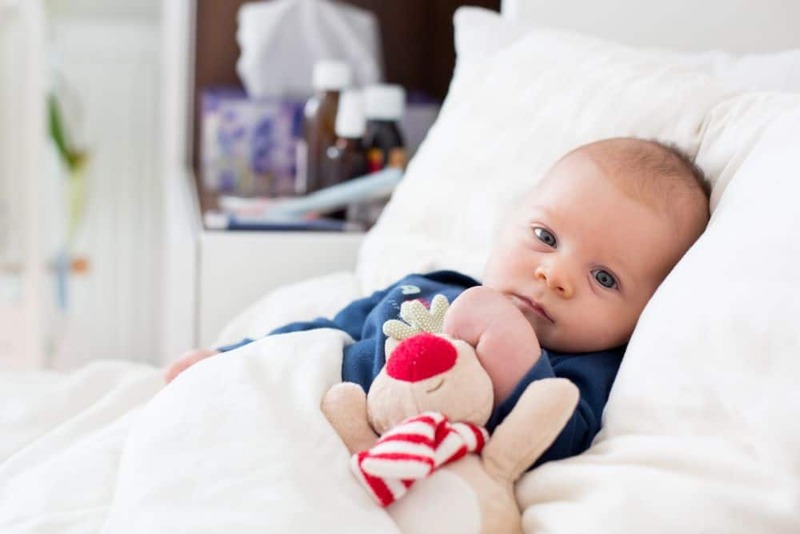 Introducing blankets, pillows, and toys to your baby is a step we all make after they reach a certain age, but it’s important to know when and how to do so safely. Read on to find out when to make this key transition, and how to do it as safely as possible! When Can I Introduce Blankets? When Can I Introduce Pillows? Navigating every single risk for babies and toddlers can be an exhausting commitment, but it’s one we all make wholeheartedly as parents. From swaddling dangers to bedding concerns, children can bring us into a whole new world of worry. The presence of blankets, pillows, and other objects in cribs has been linked to the occurrence of Sudden Infant Death Syndrome (SIDS). For this reason, they’re a dangerous inclusion to your child’s sleeping area for the first year of life. Additionally, objects like pillows, toys, or bumper pads can pose a serious suffocation risk (source). Mobiles: If you have a mobile over your baby’s crib, frequently check it’s secure, won’t fall, and is safely out of baby’s reach. Sheets: Even thin, light sheets can be dangerous if tangled up with a small baby. Ensure you buy the exact size of fitted sheets for your baby’s mattress. Car seats: Putting your baby carrier in the crib is extremely dangerous. It can tip or fall over, crushing or suffocating your baby. Dangers associated to SIDS reduce drastically after one year, but they don’t disappear entirely. Every child advances at their own speed, and your child will be ready for blankets, pillows, and stuffed animals at a different time than your neighbor’s baby. The short answer? When your baby has improved their motor skills enough to freely move around and pull things on or off, you can give them a blanket. This will happen sometime between the age of 1 and 2. The function of a blanket is to provide warmth, so if you find your baby is cold or needs additional comfort before this milestone, try swaddling them or putting them to bed in a sleep sack. If they are past these milestones, it may be time to introduce a blanket to your baby! Just ensure it’s not too thick and doesn’t feature heavy fringe. The risk for suffocation may be considerably less, but safe is always best. It’s best to wait for this transition. In all honesty, a baby doesn’t need more than a flat, bare surface for sleeping. There’s little need for them to have a pillow, and with slight risks remaining, it isn’t always worth taking that chance. Experts have said that it isn’t until 18-24 months that all risks of pillows in cribs are eliminated (source). Younger babies with the ability to roll and move around may still be at risk for suffocation against a pillow until at least one year of age. Sleeping safety is important, even past that one-year milestone we all look forward to. Just because they aren’t at risk for SIDS anymore doesn’t mean your child won’t get harmed another way. Once in a big kid bed and given all the blankets and comfort animals your child desires, you still have to be diligent about safety. Jumbo sized, heavy, thick blankets or pillows that don’t zip closed could be unsafe to kids under 3 years old. If you haven’t moved to the toddler bed yet but trust your 1-year-old with additional objects, don’t allow them to have too much around them. 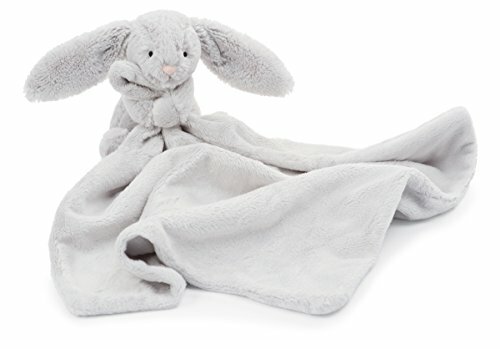 A small, thin blanket and one or two stuffies is more than enough. Use the promise of more sleeping pals to encourage them to transition to a toddler bed. Thin cloth blankets called lovies can be a good introduction to larger blankets. Finding a good lovie and supervising your child with it can give your baby some comfort without posing a risk. Make sure to test the lovie first and keep a close watch on your baby in the first couple of days of use. Even outside of understanding the rules for blankets and pillows, it’s important to stay proactive about sleep safety. The older your child becomes, the more lax your rules can be, but here are some basic things to consider implementing through the development stages. Toddlers and babies who can climb out of their cribs and playpens even after lowering the mattress are at a risk for falling and getting hurt. Once you’ve noticed your child has progressed to this point, pick out a toddler bed or a twin bed with secure rails to keep them from falling. Though babies over the age of 1 aren’t at risk for SIDS, co-sleeping still isn’t a good idea. It’s important for you and baby to continue to sleep separately. It may even be time to move them to their own room, so they can self-soothe and practice independant sleeping habits early on. My toddler was a sippie cup addict. Just getting the cup away from him at bedtime was a struggle. Still, it’s important you don’t put toddlers to bed with a sippie cup unless it’s full of water to help prevent tooth decay and cavities. Even then, it’s best to avoid it, or you risk bed-wetting problems. To avoid a negative association with bedtime, use an entirely different area for time-out and punishments. You want to make bed a safe, peaceful place your child feels comfortable in, so avoid creating too much conflict around that concept. Toddlers thrive with routine and dependability. Bedtime is made 100 times easier if you stick to a schedule and implement a simple, basic series of steps taken before going to bed. That way, it’s never a surprise and your toddler won’t fight it as much. There’s no magic age your child can safely sleep with pillows, blankets, or stuffed animals. The trick is to keep an eye on their development and gauge what they need and what they’re ready for as you go. After a year, feel free to use thin blankets in your baby’s crib or in a play pen napping. A rule of thumb to keep in mind is once your child moves from a crib to a toddler bed, it’s safe to bring other comforts into the mix. When did you give your baby a blanket and pillow? Did you notice any improvements with their sleep? Tell us about it in the comments below! And if you know a mama in a blanket dilemma, share this article with them!